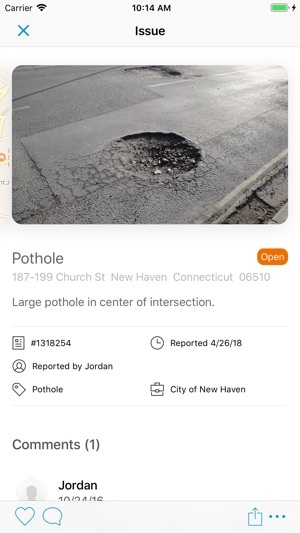 For those annoying potholes, damaged street signs, and other local issues, the New Haven Connect app makes reporting a problem to City Hall easier than ever. 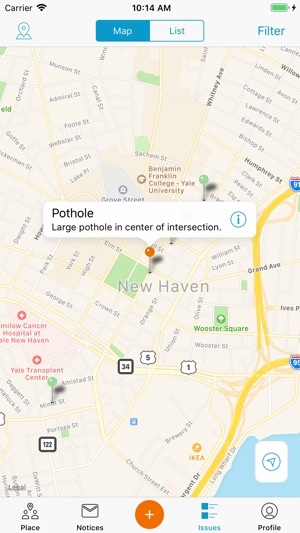 Powered by SeeClickFix, the iPhone, and iPad compatible, app uses GPS to recognize your location and provides a list of commonly requested services to choose from. 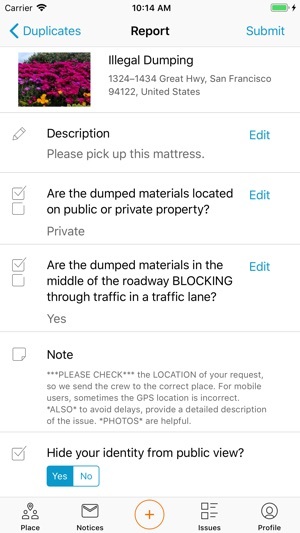 The mobile app can be used for a variety of issues such as graffiti, street maintenance, street light, damaged trees, parking meters, and garbage collection. Residents can track the status of reports they or other members of the community have submitted and learn when they have been resolved. This app just links to websites, at least one of which (parking tickets) was the incorrect url. I deleted it because the interface once you clicked on any link looked terrible on my phone. If they were actually able to integrate the info into the app it would be awesome, as it stands it is not useful enough to keep. 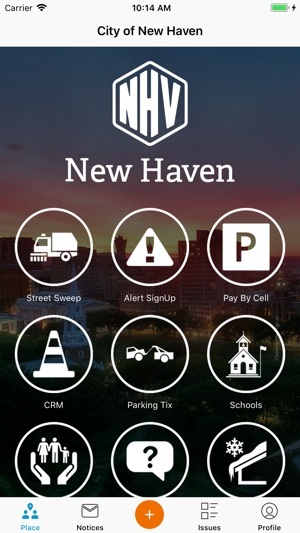 Kudos to the City of New Haven for ramping up the marketing push on cleaner and safer streets. 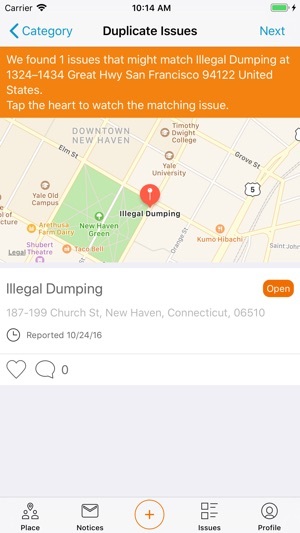 This app is genuinely fixing up the neighborhood one small problem at a time.